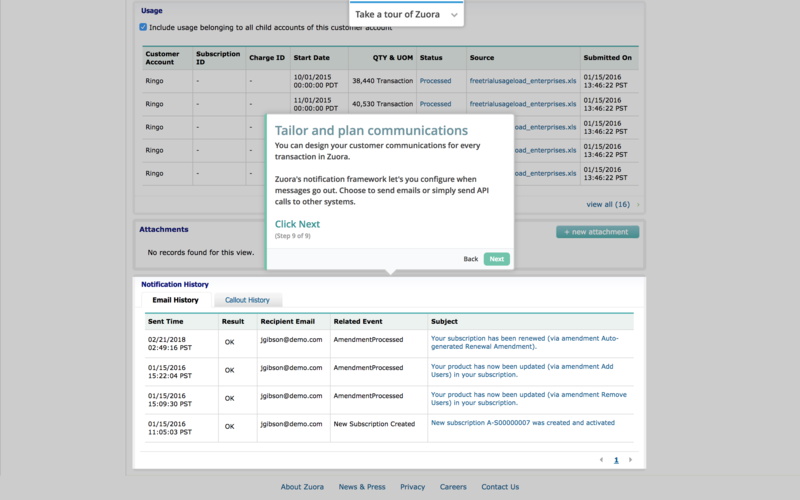 Zuora's full-stack subscription management technologies support businesses in all their subscription management needs. 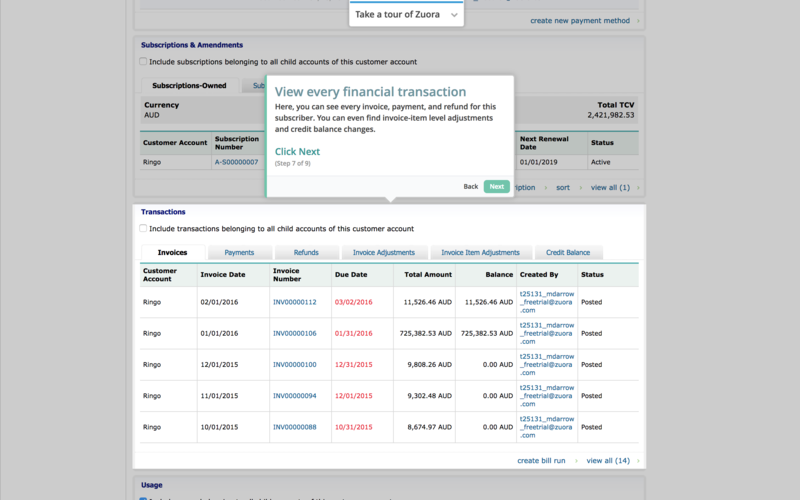 Zuora's list of features includes quoting, ordering, billing, recognizing revenue, reporting and automating the entire customer lifecycle. 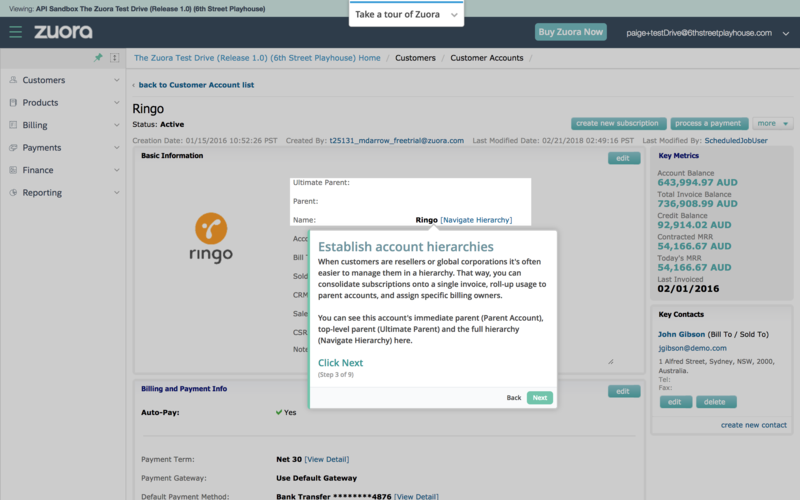 Because their tool is designed to be so powerful and all-encompassing, new users have to walk through the tool one section at a time. 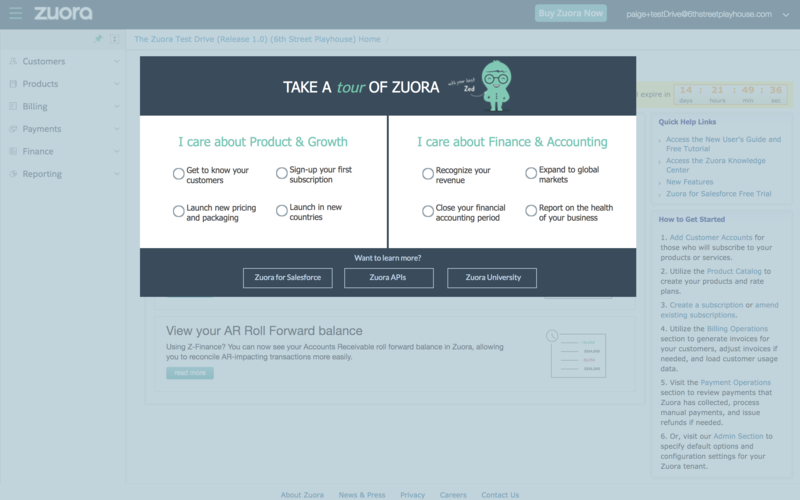 Zuora breaks their software down into different sections and personalizes the experience by asking new users what they want to explore first. They then give comprehensive product tours to educate and onboard new users. 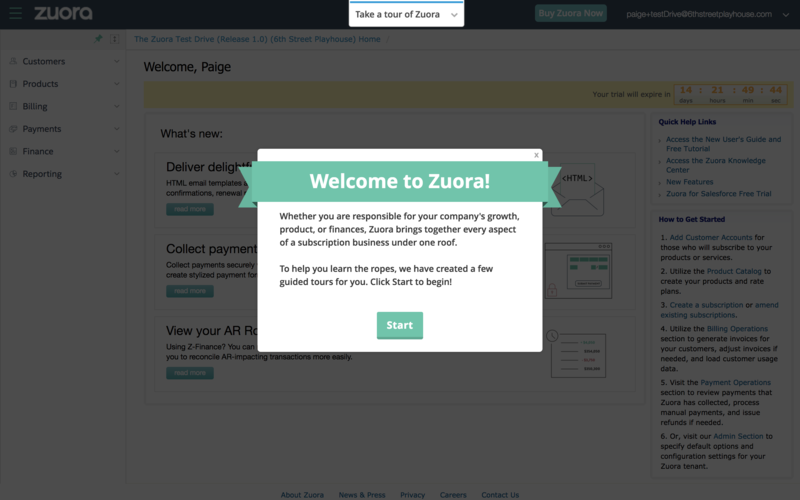 Zuora's welcome message sets the stage for their multi-product tour user onboarding experience. 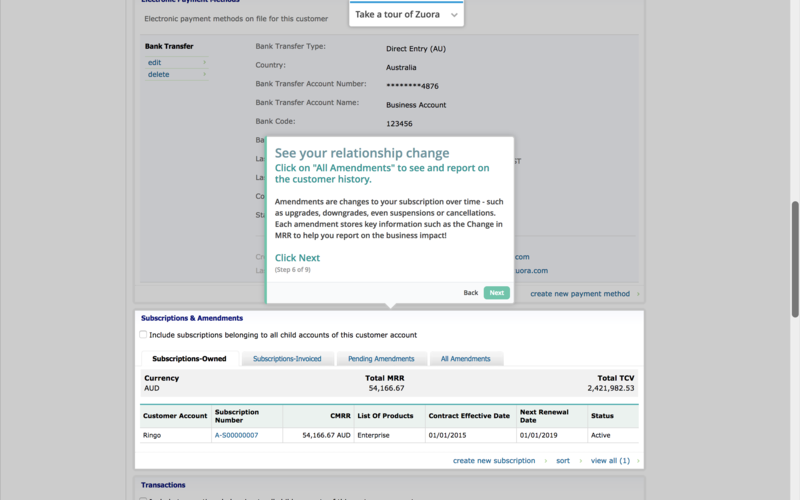 By iterating that they bring together “every aspect of a subscription business under one roof,” they comfort new users that their needs will be met. A learning curve at this point doesn't come off as unnecessary or daunting. 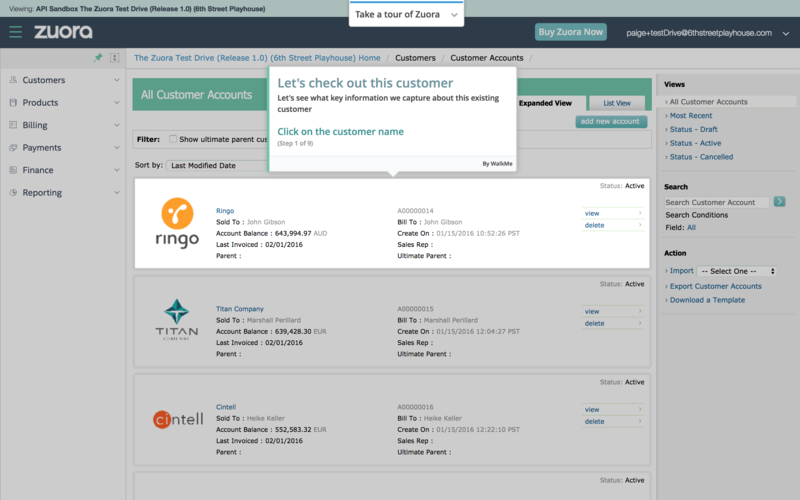 Zuora personalizes the experience by letting new users select from a multiple choice list. 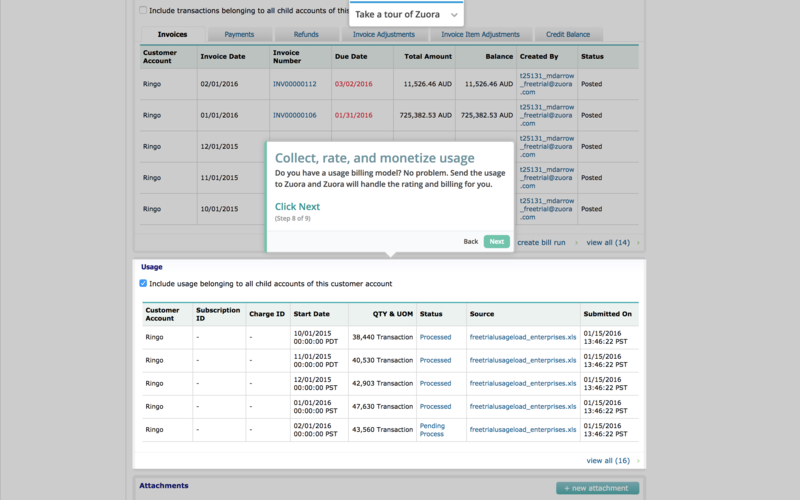 In doing this, new users can prioritize their most immediate needs, and take the entire onboarding process at their own pace. 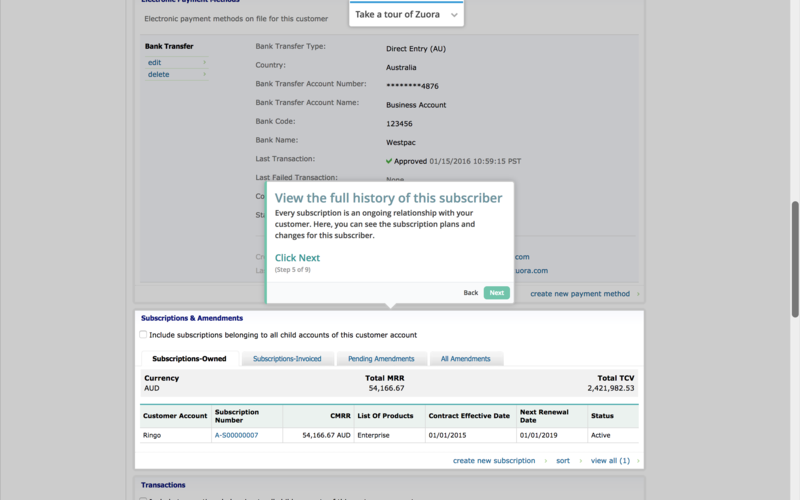 Inside the product, the tour carefully highlights each section, one at a time, and offers a description of the feature. 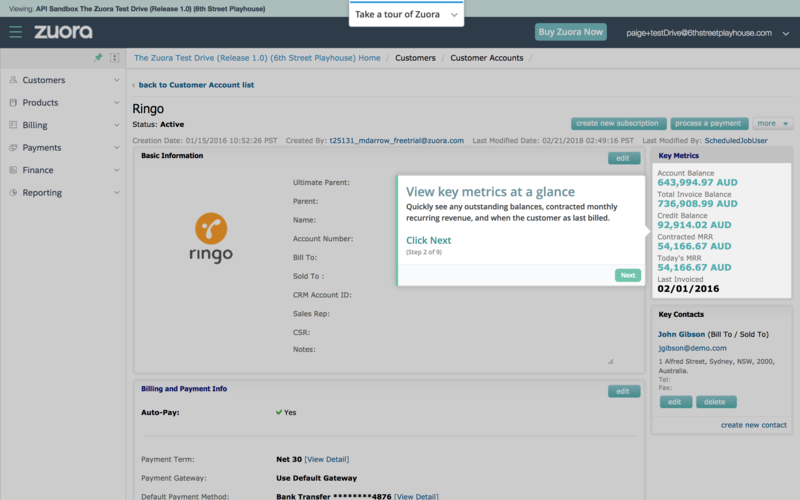 They are also careful to include the number of steps on each box, so users can be aware of their progress. 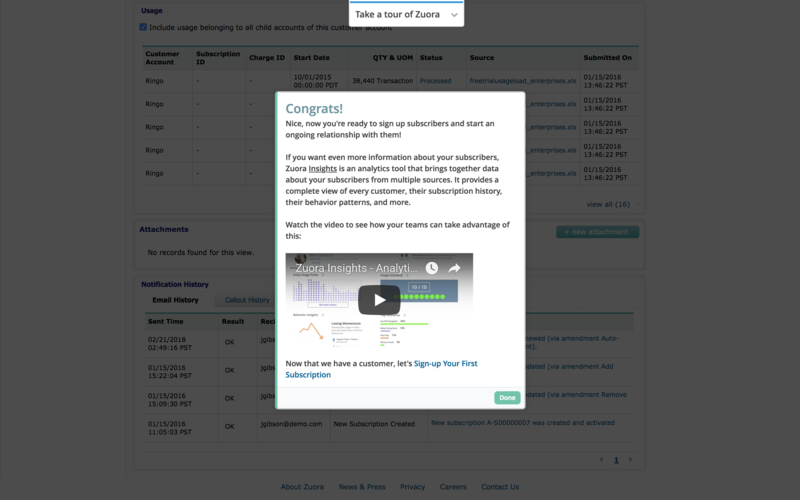 As a bonus at the end of the tour, Zuora offers a strategical video that illustrates how teams can get the most out of the tool to grow and win. 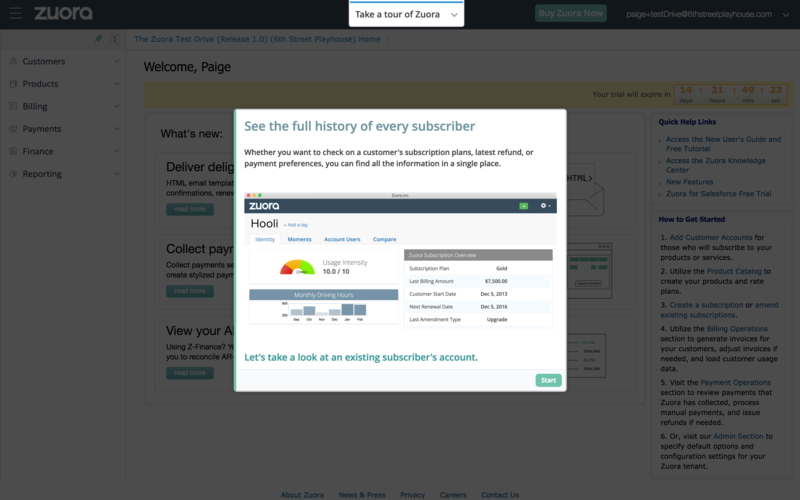 By this time, new users will want to play around and educate themselves on Zuora as much as they can. 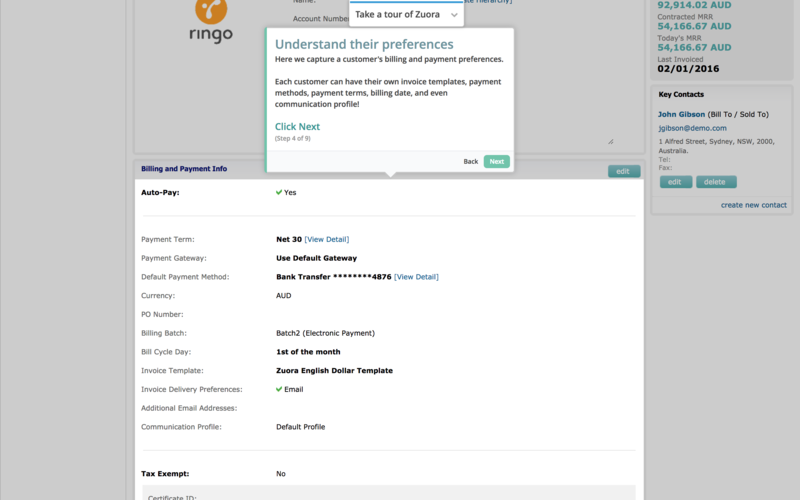 Personal finance service Mint builds trust, reiterates its core value proposition, and educates new users with a smooth onboarding UX and thorough product tour. Zoom's UI and bare-bones design style has plenty of critics, but its short journey to value and no-nonse video call experince makes for some really good UX. Tesla has designed its web experience to promote its cars and brand in a way that boosts the perception and appeal of electric cars. Inspiring UX, straight to your inbox.